UTAH — Command of the Utah Wing passed from Col. Dave Hankwitz to Col. Lynda C. Robinson during a change-of-command ceremony on 20 January. The ceremony took place at Utah Wing Headquarters near the Salt Lake City International Airport. Robinson joined the Civil Air Patrol in 1983 and became the administration/personnel officer for the Enterprise Composite Squadron. Since then, she has been primarily involved in cadet activities at the squadron and Rocky Mountain Region levels. Robinson also served as the deputy commander in the Bountiful, Cache Valley and Provo Composite squadrons. In addition to serving twice as the director of Utah Wing’s cadet program, Robinson was the Rocky Mountain Region deputy director for cadets. Robinson also commanded the Utah Wing cadet encampment five times and was the project officer for the Rocky Mountain Cadet Drill Team at the National Cadet Competition in 1989, ’90, ’91 and ’92. Robinson, along with Lt. Col Rick Manning, also of the Utah Wing, developed the Falcon Flight Program to increase cadet membership and retention. She also worked on the team that produced the Senior Training Program for Cadet Leaders (TLC Program), and was chosen to travel with the Air Force and train senior members throughout the United States and Puerto Rico. Robinson has a master specialty rating in cadet programs and aerospace education. Most recently, she was the Utah Wing Group II Commander and Utah Wing chief of staff. Robinson, her husband Norman, and their three children, are all products of the CAP program. 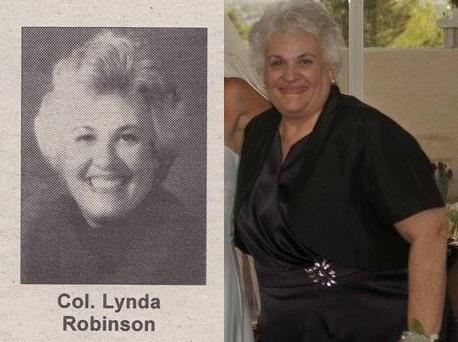 Be the first to comment on "Lynda Robinson New Utah Wing Commander"
I have been attacked repeatedly. I have written letters, filed retaliation complaints that just disappear and spoke to National staff people including the past National Commander. They, being the Southeast Region and below, hope we will get fed up and quit. They investigate frivolous complaints against us, but do not follow through with Cadet Protection complaints against the favored, these being complaints that just get swept under the carpet.